There has again been a lot of changes happening in the home over the past few months. We have continued to invest money in to the homes environment. 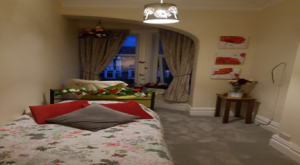 More bedrooms have been stripped back to the bones and thanks to the teams ideas and imagination we have been able to design some outstanding, person centred bedrooms. I am sure you are as delighted as we are to see the improvements that are continually happening within the home. We have noticed that a lot more residents are enjoying sitting in the new lounge area that was created earlier this year. As a home our reputation is growing by the week. We are receiving excellent feedback and recommendations from professionals and relatives. This helps us as a team, as it lifts morale. 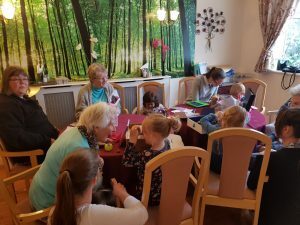 Our latest exciting idea is to introduce intergenerational care in to the home. I`m sure many of you watched the documentary called 4 year olds in care home, that was aired last month on TV. 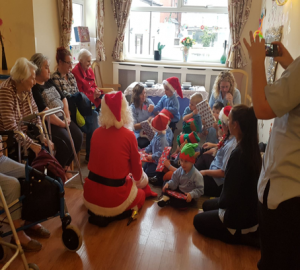 As a team, this programme inspired us and we felt we could offer our residents the same kind of interaction. Therefore we contacted Clifton Lodge Nursery, and after explaining our vision to the nursery manager, Lisa who loved the idea. We began the programme on the 9th October. We have paired 4 children up with 4 residents. The children will visit the home and do activities such as crafts, games, reading or simply just chatting. We will also visit the children at their nursery. Where again stimulating activities will be provided. The programme will last for a 6 week period. As the documentary highlighted. We too are hoping to see improvements in the residents health and well being. And if the first meeting is anything to go by, we are sure we will. As a home we have also had an exciting new addition to our team. Eric the cat. He is a 3 year old, Ginger cat who is extremely affectionate and loves nothing else but sitting on laps and getting stroked. 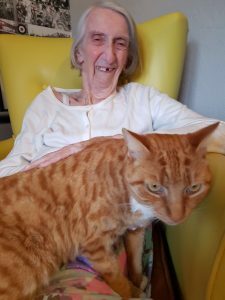 We decided to invest in a homely cat due to the positive reaction we received from the residents when a wall art picture of a cat was placed within the home. Eric has only been in the home for a short while. However he`s already making the residents smile. Halloween is almost upon us again. And as a home we are organising a party day. We are planing to start the party at 2pm on Tuesday 31st October. 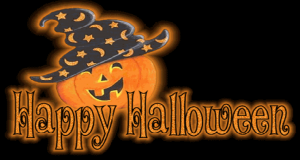 We have planned entertainment and Alison our cook is preparing a spooky-licious buffet. If you can make it, we would love to see you. We have had an extremely generous offer from one of our relatives. Tara is offering to donate, to each one of our residents their own personnel mug. 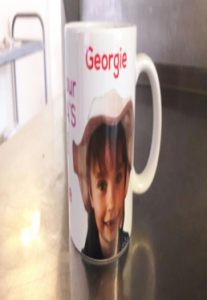 The mug will have the residents name on and photos of family and friends. 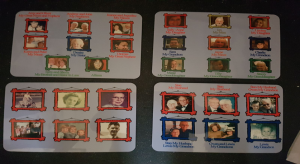 We think this is a great idea as they can be used as tools to open conversations and reminisce with residents. Finally. 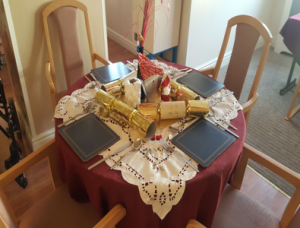 As a Christmas gift we would like to purchase each one of our residents a person centred place mat for the dinning table. However in order to provide each resident with a mat we will need your help. We would need 4-6 photographs for each resident. These can be family photos, holiday photos or simply photos of memorable times. As a home we believe that all meal times should be a social event. We feel the place mats will encourage this. Debbie and the team are already busy planning the homes Christmas festivities. 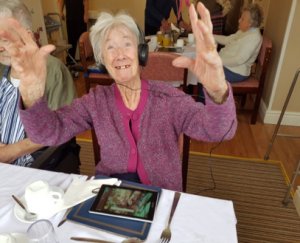 The residents loved the homes activities so much last year we have decided to do something very similar. We will be inviting childrens nurserys and schools in to sing their carols to us. We will have visits from the big man himself and lots of fun and cheer. Debbie will be sending you a list of activities and dates very soon. 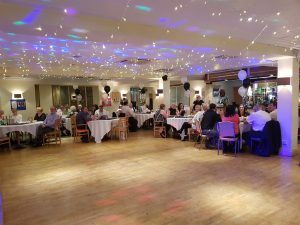 THANK YOU for your Continuous support AND…..
We would firstly like to thank you all for your support with our fundraiser night. The night was a great success and all who came had fun. We would like to send a special thank you to the Carousel Hotel, who did us proud. And also Dave Bear and guests for the entertainment. 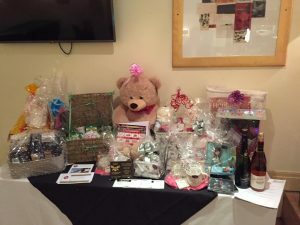 As a home, due to your generosity, we have managed to raise almost £2000. This has allowed us to purchase another 10 tablets for our residents. And they love them! THANKYOU SO MUCH FOR HELPING US MAKE A DIFFERENCE ! 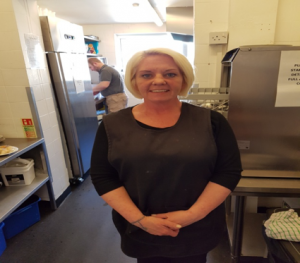 We have also taken on Alison Cox as our new chef. 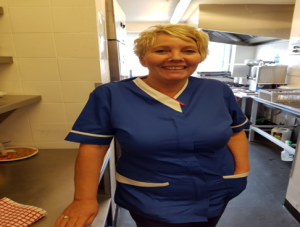 Again Alison has worked in the industry for many years and again has a great wealth of knowledge in regards to healthy nutrition for dementia residents. As normal Debbie is being very pro active and has already began to arrange an eggstavaganza over the Easter holidays. She is hoping to invite the children in again on Thursday 13th April. To perform their Easter show. 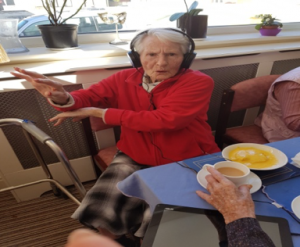 The residents are busy making their Easter Bonnets and the home is organising a fun party day on Good Friday. This is where the residents will show off their creations. We have also heard on the grape vine that the Easter bunny may be visiting the home with gifts. Every 2nd Monday at 2pm we have now arranged for Elite College to come in and do arm chair exercises with all our residents. This has gone down really well and as Im sure you agree is healthy for all who join in. March 26 (Mothers Day) 1pm Dave Bear will be singing to all our mums. May 31st 2pm Jeff and his accordion. We would like to take this opportunity to invite you to our special days. The more the merrier. Finally, we would like to draw your attention to our new web page.  On this page you will be able to read about the homes vision, facilities and find out what people say about the care we deliver. The latest CQC report is also available through the web site. We are very proud to say that we were rated GOOD on all 5 KLOES. That’s a huge thank you to the Royals team. Thank you again for all your support. We could not improve like we are without you.